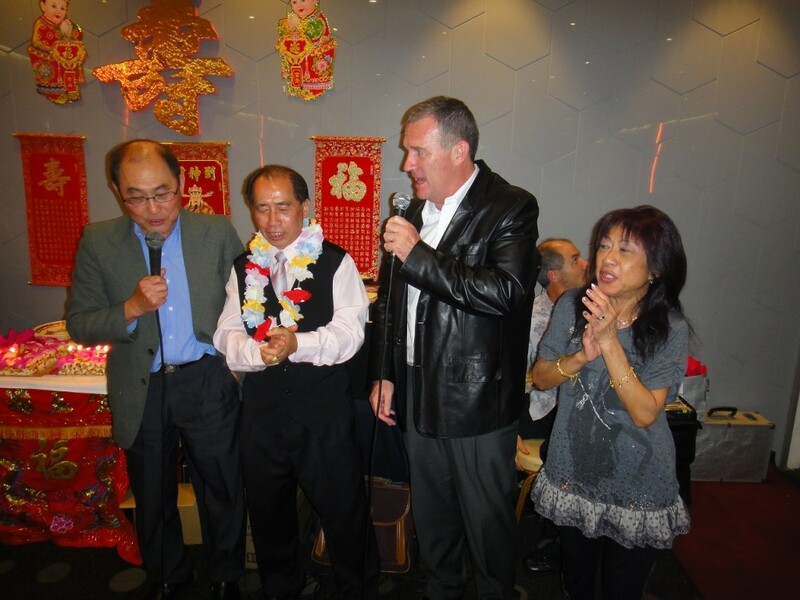 John Hsu, President of the Chinese Community Centre (CCC), celebrated his 66th Birthday at Northbridge Chinese Restaurant. The restaurant was completely booked out with over 250 guests attending his birthday. 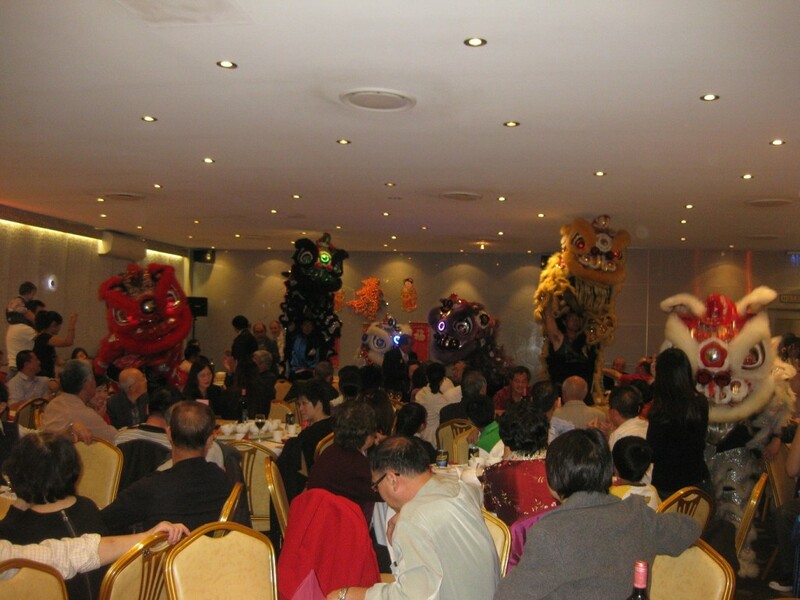 In celebration of his birthday, the Chinese Community Centre (CCC) Lion Dance Troupe performed the lion dance featuring 6 lions. As part of the celebration there was the dotting ceremony of 2 brand new lions that was donated by the Kuomingtang (KMT). The KMT is a political party of the Republic of China (Taiwan) in which John Hsu is a part of, as well as a sponsor of the CCC Lion Dance Troupe, and the Chinese Community Centre. The KMT donated these lions to the ccc in the recognition of their continuing hard work and contribution to the community, and as a sign of gratitude of being strong supporters of the KMT. The CCC Lion Dance troupe would sincerely like to thank the President of Taiwan, Ma Ying-jeou, and the members of the KMT for their continuing love and support. 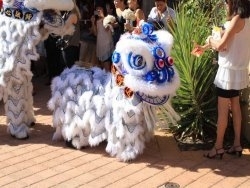 The CCC lion dance troupe, and the CCC will always be strong supporters of the KMT. The rest of the evening was entertained by karaoke, yum sings, and of course the cutting of the cake in which all the guests sang happy birthday to John Hsu. The CCC Lion Dance Troupe will love to wish John Hsu a happy 66th Birthday, and we hope you enjoyed the night with all your family, friends, and colleagues. On the first day of May, the Chinese Community Centre (CCC) Lion Dance Troupe had the great pleasure to attend and perform at the wedding of Naressa Yeo and David Hume. Naressa and David are both close friends of the Lion Dance Troupe and their son, Thomas Yeo, is a member of the CCC Lion Dance Troupe. As part of the special occassion, Naressa and David bought a baby lion for their son Thomas and dotted the eyes of the lion on the day of the wedding. Thomas had the pleasure of performing his first lion dance for his parents wedding, in which he was joined by 5 other lions. 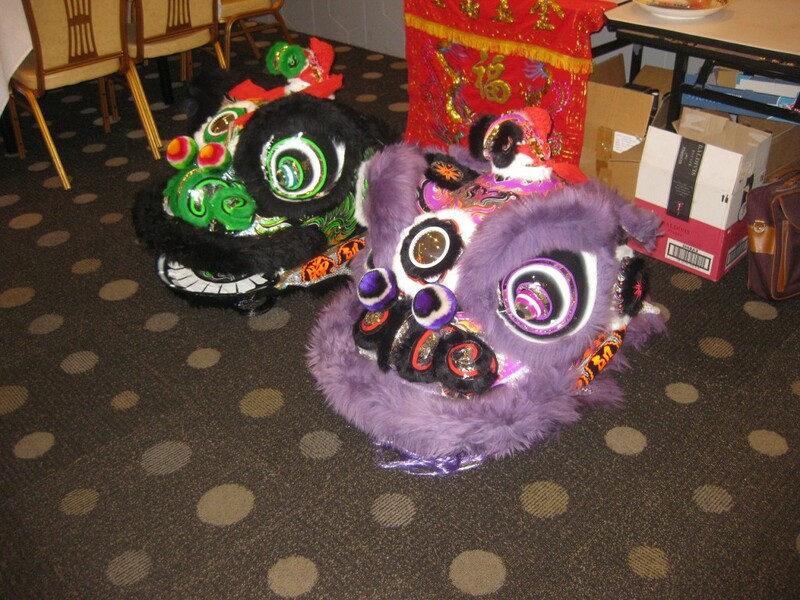 Thomas’s performance, in which was the first baby lion dance performance ever in the history of the troupe, impressed the whole CCC Lion Dance Troupe, guests, and most importantly his parents. From the whole CCC Lion Dance Troupe family, from the bottom of our hearts, we would love to congratulate David and Naressa on their holy union togethor. We wish you both all the best in your new lives togethor and may our lion dance performance bring you both everlasting luck, prosperity, and happiness.